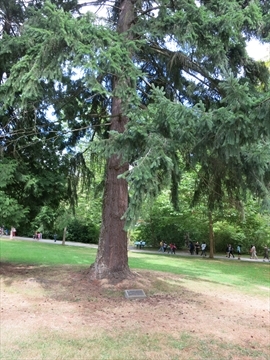 There are many historical, famous, significant, and tall trees in Stanley Park. 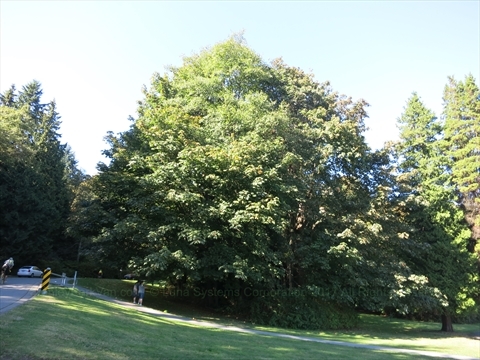 There are many different types of trees in Stanley Park including Douglas Firs, Norway spruce, Sitka spruce(few), pine trees(stand near malkin bowl, magnolia(behind Stanley Park Pavilion, and sand palms among others. 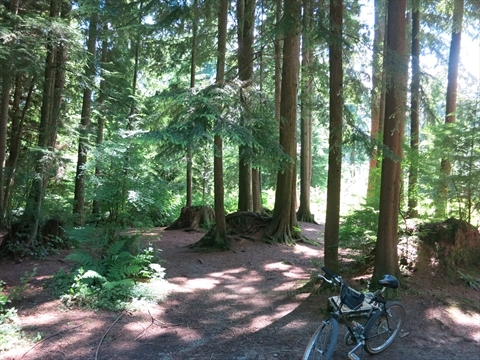 We will also tell you where to find the tall trees in Stanley Park. 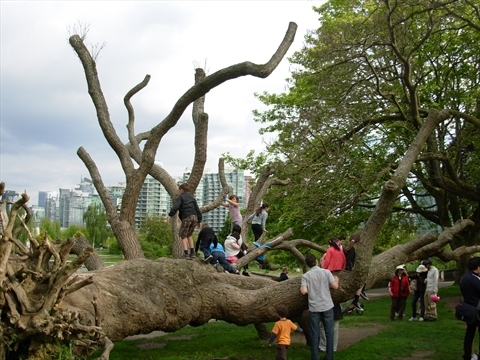 The Hollow Tree is the most photographed and famous tree in Stanley Park. 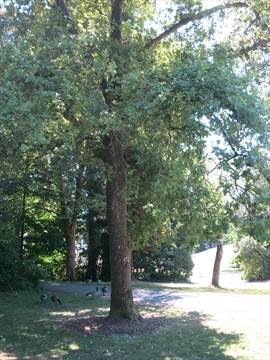 Located on the west side of Stanley Park just off of Stanley Park Drive between Third Beach and Prospect Point. The National Geographic Tree is a 1000+ year old tree made popular after appearing in the National Geographic magazine. Unfortunately, it has since fallen down. The Seven Sisters were 7 giant trees that formed a "cathedral" and were at one time the most famous trees in Stanley Park. This is an oak tree from the Royal Forest at Windsor planted on the coronation day May 12th, 1937. 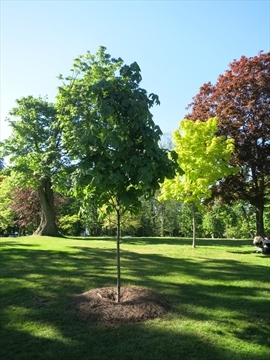 The Jody Taylor Memorial Tree was planted in memory of Jody Taylor, a city arborist, who died tragically on March 31, 2016 while trimming a tree in Connaught Park. 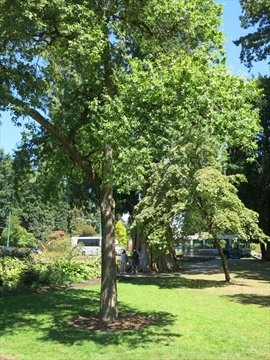 The Peace Train tree was planted in commemoration of the Peace Train on which Soviet and Canadian children rode in 1988. 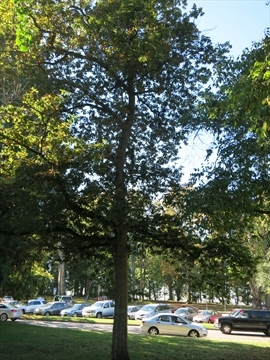 The King Edward VII Oak tree was planted for his coronation at Brockton Pavilion. The plaque is long since gone, but we know what it said! 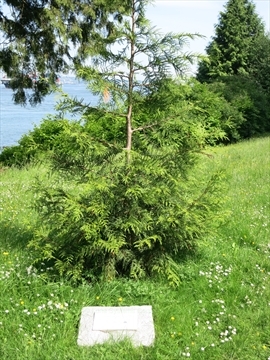 The 125th Anniversary Tree was planted in 2013 to commemorate the 125th anniversary of Stanley Park. 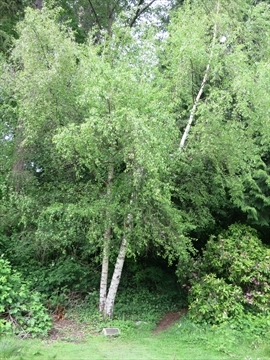 The Junior Forest Wardens Tree is a tree planted in earth from all parts of British Columbia. 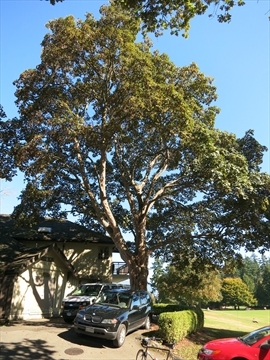 The King George VI oak tree is a little known historic tree in Stanley Park. 7 new trees were planted a few metres down the trail from the original Seven Sisters. There is a plaque that marks the spot. 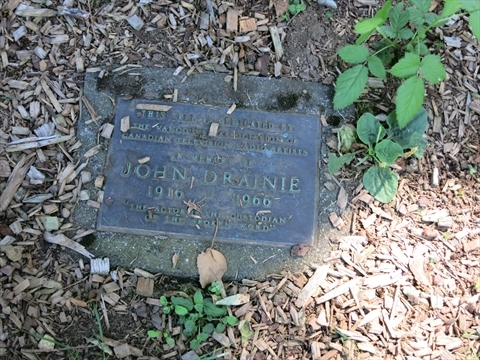 This tree and plaque commemorates John Drainie who was a famous Canadian actor. 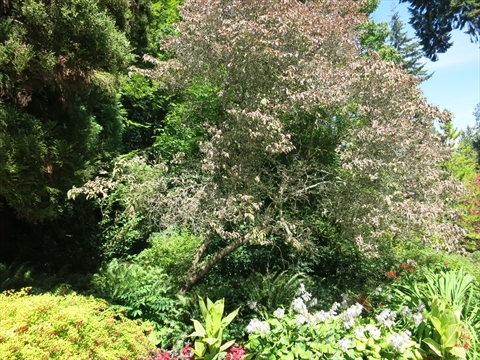 The Comedy tree and plaque was planted by a famous actress in the Shakespeare Garden to commemorate "Comedy". 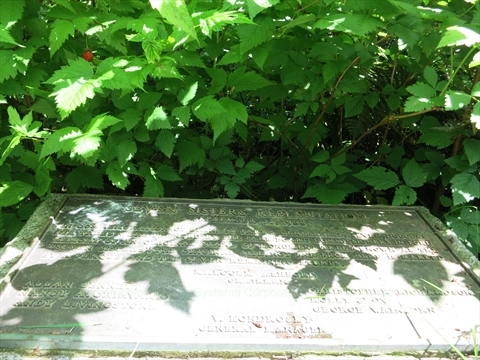 The Tragedy tree and plaque was planted by a famous actor in the Shakespeare Garden to commemorate "Tragedy". Shakespeare Tercentenary tree and plaque commemorates the tercentenary of Shakespeare by the Vancouver Shakespeare Society in 1916. 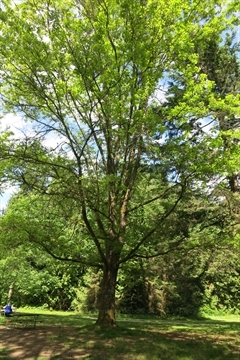 The Peter Caverhill tree and plaque commemorates Peter Caverhill who was the chief forester of British Columbia. The Rotary International tree and plaque commemorates the visit of Syndey A. Pascall who was the international president in 1932. 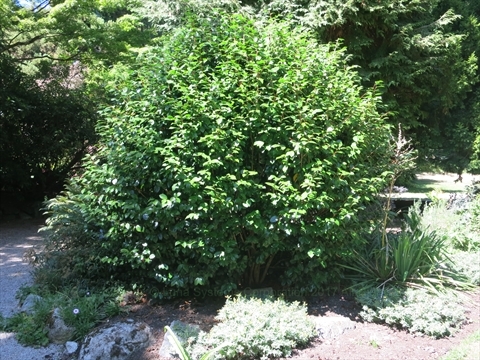 The Francis Willard plaque commemorates her visit to Vancouver and the bush she planted. She was the head of the Womans Christian Temperance Union and was a pioneer in the women's rights movement. 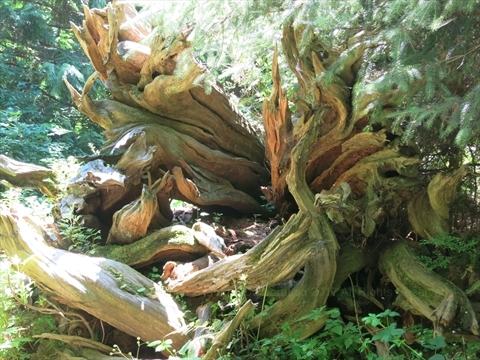 During one of the big windstorms that swept through Stanley Park, an old craggly tree fell over. Since then, it has become a favourite of children to climb on! This tree was planted in 1968 to commemorate the 25th Anniversary of the Truck Loggers Association. Supposedly, there is a plaque and 3 oak trees from Windsor England planted near the Harding Memorial. We have yet to find these trees and the plaque. Where are the tallest trees in Stanley Park? 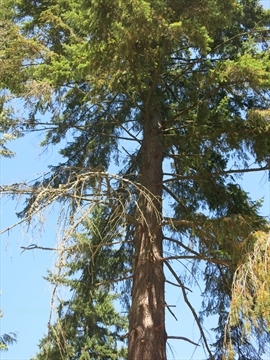 The tallest tree in Stanley Park is currently a 206 foot (63m) Douglas Fir which resides in a Douglas Fir stand at the south end of Beaver Lake in Stanley Park. It is 50 metres east from the intersection of Wren and South Creek trails. There is a large stump on the south side of the trail from which you can view the tree to the north. 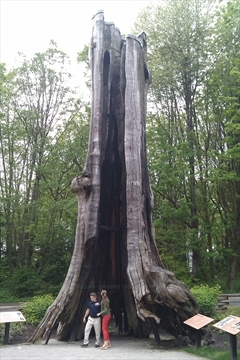 It is believed that the great fire in Vancouver in 1886 burned this area thus giving root to this tree! Another set of large trees is an old growth stand located just east of Pipeline Road north of the parking lot. These trees are about 450 years old and are probably where the seeds for the current tallest tree came from. 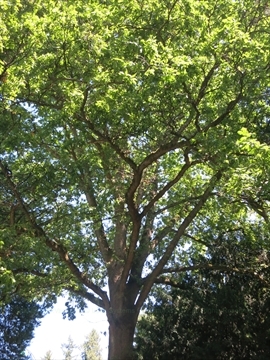 Although Stanley Park has some of the tallest trees in the world, there are some even taller trees (1 at UBC, a few in Burnaby, some on the North Shore and in Coquitlam) in the region.